Buzzworm was published on February 1st this year. This story was first inspired by a number of stories told to me by a former Mossad agent (not all which I include in Buzzworm, but have also woven into On The Black.) At the time, I was shocked by how much of a national security weapon computer viruses had become. Of course now, with the revelations around the StuxNet virus that attacked Iran’s nuclear enrichment program in 2010, and recent infections of U.S. drones, it’s quite clear to me that computer viruses could someday (soon) be used as weapons of mass destruction (WMDs). Buzzworm chronicals a systems meltdown at the CIA that begins to quickly spread to other intelligence departments world-wide, effecting operatives and staff at every level. Employee cell phones, their home security systems, even their television sets are being taken over by this ugly new virus now known as Buzzworm. When people start to die, the CIA decides to look for outside help. An eccentric foreign intrusion expert, Roger Strange, is flown in to help track down the source of the virus. 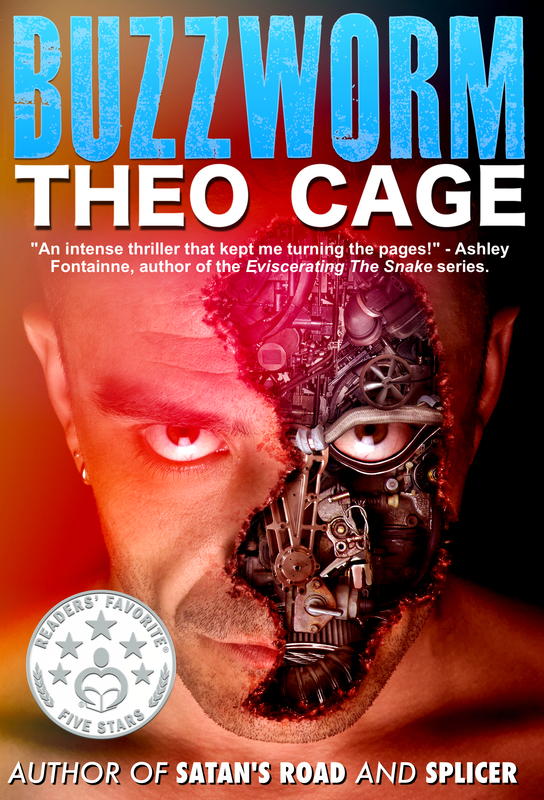 He teams up with an agency hacker known as MED (Mary Ellen Duke), and the two of them begin to unpack the mystery – well aware that Buzzworm is now beginning to target them and their families. The third protagonist in the story is Gregory Hyde, one of Washington D.C.’s most successful and iconic homicide detectives. But he’s also the oldest. So despite being Roger and MED’s only hope, he hates technology with a passion. The novel reaches it’s explosive conclusion in a deadly race against time in the wilds of Virginia. Gregory Hyde as well as MED appear again in Satan’s Road – and MED will finally get her chance to be a field agent on assignment in Reactor, coming out in 2015. I just saw one of your books listed on Book Bub….do you have f books about a single character, or are they all “stand alone novels”. What is a suggested reading order? Mike – Splicer is stand-alone. Buzzworm, Satan’s Road, (and the soon to launch Thrift Shop) – feature Washington Homicide detective Greg Hyde – though not sequential, Buzzworm is probably the best place to start.